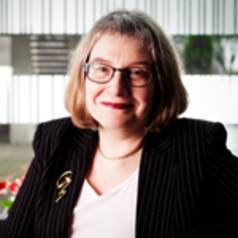 Professor Jane Frecknall-Hughes is Professor of Accounting and Taxation at Hull University Business School. She is also Co-Director of Accounting Research for the Business School. After graduating from the University of Oxford, she became a chartered accountant and chartered tax consultant with KPMG. In 1992 she joined the University of Leeds, gaining postgraduate teaching qualifications and a PhD (in Revenue Law and Tax Practice). She is a fellow of the Higher Education Academy. After moving to the University of Sheffield in 2005, she then joined The Open University in 2008 as Professor of Accounting, later holding the posts of Professor of Law and Head of the Open University Law School and then Professor of Revenue Law. Jane’s research focuses on taxation, especially from an interdisciplinary perspective. She has gained an international reputation for her work in this area, which is reflected in her publication record. She has taught a wide range of subjects in the accounting and business law area, including taxation, and her textbook, entitled The Theory, Principles and Management of Taxation: An Introduction, was published by Routledge in October 2014.